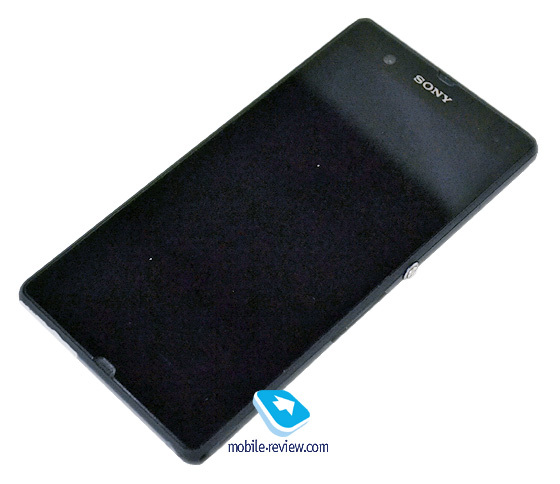 After it leaked photos of a prototype device yesterday, Russian site Mobile-Reviews has published a detailed preview of Sony's upcoming 2013 high-ender, currently known by its codename "Yuga." According to today's preview, the 5-inch, 1080p device packs a 1.5GHz Qualcomm Snapdragon S4 Pro CPU, 2GB of RAM and a glass-clad chassis. There's also expandable storage via microSD card, world LTE connectivity and a 12MP camera, so if specs alone are any indication, the "Yuga" should measure up favorably against other high-end phones in early 2013. On the software side, the prototype is running Android 4.1 Jelly Bean and Sony's own proprietary software. Highlights here include new live wallpapers, a re-vamped camera app with filters (because that's what everyone's doing these days), and a redesigned clock app. Visually, Sony's Xperia UI as seen on the prototype looks much the same as it did on earlier phones like the Xperia T and Xperia S.
You'll find a complete run-down of the prototype hardware and software at the source link below. Sony tends to announce its new high-end stuff at CES each year, so we expect we'll see the finalized design in Las Vegas in just a few weeks.